Help Whole Foods Help Us–LAST THREE DAYS! In five short weeks, thanks to your support and participation, we have passed the $5,000 mark on our way to raise $10,000, our first milestone to be able to open all 100 Magnolia Manor Park P-Patch Plots by next Spring. We have two small requests for you, one of our loyal supporters. 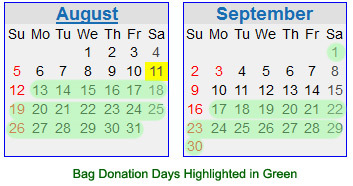 Please spread the word that when you check out at Whole Foods–> Ask to donate your bag refund to Magnolia Manor P-Patch. Our sincere thanks to our community who have supported us in passing the $5,000 mark. This has happened with 24 donors – just think what can happen when we double our donor base for this! 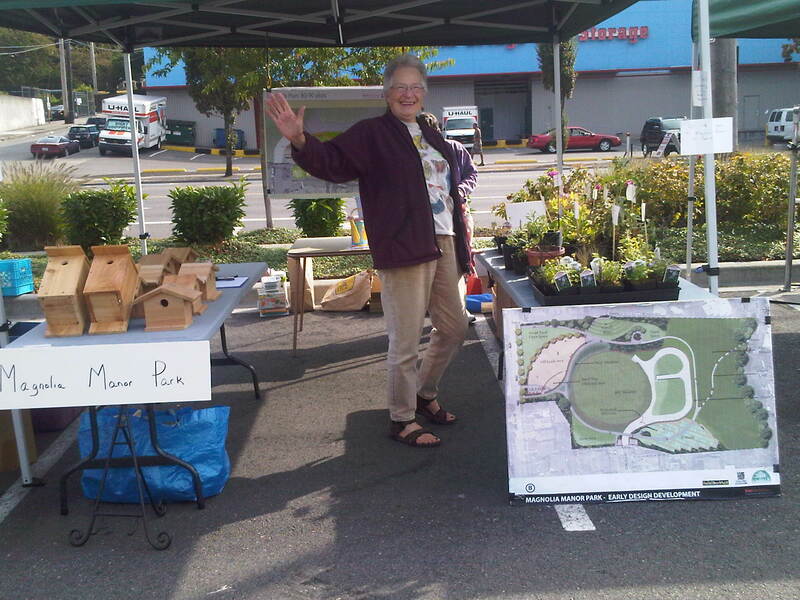 The photo below was taken 15 September at the booth we had at Whole Foods at Interbay to sell birdhouses, plant starts and promote the park. Say thanks to Susan for volunteering, next time you see her! The Conservation Corps has begun its work at Magnolia Manor Park! Dirt is being moved. 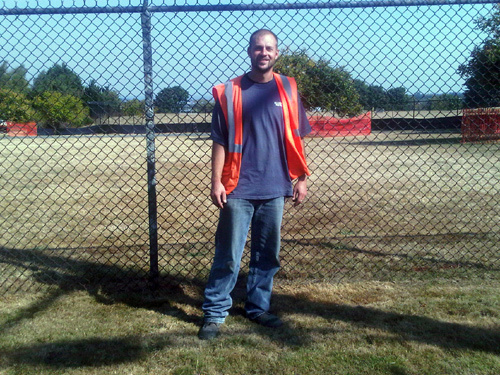 CC Worker poses for a ‘begin’ photo. Don’t Forget — Magnolia Garden Tour- This Sunday! This is a self-guided tour of nearby casual gardens of interest. Volunteers from Friends of Magnolia Manor Park will be on hand at the park, 3500 28th Avenue West, to welcome visitors and hand out maps of the tour. There is a $10 cost associated with the walk. The money collected during the event will help pay for 100 P-Patch garden plots that are scheduled to be ready for planting next spring. Bird houses and plants will also be available for purchase. Construction of the dog off-leash area will start on Monday, September 10! NOTE: The Park will be CLOSED during the six to eight weeks of construction. Construction access will be from 28th Avenue. In addition, a ditch will be dug to lay water pipe from the p-patch area to the dog park area. This prevents the City from having to dig up 28th Avenue to provide water to the dog area. For the safety of the public and to conserve money and resources, heavy equipment will be staged and stored inside the park, which will be completely fenced off and locked during construction. A re-opening ceremony is being planned. The date and details will be posted on the fence and our web site. Stay tuned for volunteer opportunities to stain fencing, spread bark chips and plant shrubs. Construction of the P-Patch is still on schedule to commence this fall after Seattle Public Utilities does some fence moving. Estimated completion for Phase 1 of the P-Patch is the end of 2012. Gardeners will be in the garden in 2013!